And of course it is not only Zionists who have eaten of this poisonous fruit. As a result of Israel’s own willingness to encourage such tactics, as in organizing initiatives seeking to discredit, and even criminalize, the nonviolent BDS campaign, several leaders of important Western countries who should know better have swallowed this particular cool aid. A recent statement by the new and otherwise promising President of France, Emmanuel Macron: “Anti-Zionism…is the reinvented form of anti-Semitism,” and implicitly such a statement suggests that to be anti-Zionist is tantamount to criticism of Israel as a Jewish state. After grasping this tortured reasoning, have a look at the compelling Open Letter to Macron, written in response by the famed Israeli historian, Shlomo Sand, author of an essential book, The Invention of the Jewish People. In his letter Sand explains why he cannot himself be a Zionist given the demographic realities, historical abuse of the majority population of historic Palestine, and the racist and colonialist overtones of proclaiming a Jewish state in a Palestine that a hundred years ago was a national space containing only 60,000 Jews half of whom were actually opposed to the Zionist project. This meant that the Jewish presence in Palestine represented only about 7% of the total population, the other 700,000 being mostly Muslims and Christian Arabs. This is not the only morally, politically, and legally acceptable solution. A variety of humane and just alternatives to the status quo exist that are capable of embodying the overlapping rights of self-determination of these two long embattled peoples. To avoid the (mis)impression that Charlottesville was most disturbing because of its manifestations of hatred of Jews it is helpful to take a step backward. Charlottesville was assuredly an ugly display of anti-Semitism, but it only secondarily slammed Jews. Its primary hateful resonance was its exhibition of white supremacy, American nativism, and a virtual declaration of war against Black Lives Matter and the African American and immigrant struggle against racial injustice. Jews are doing better than all right in America by almost every indicator of economic, political, and social success. African Americans, Hispanics, and Muslims are not. Many of their lives are daily jeopardized by various forms of state terror, as well as by this surge of violent populism given sly, yet unmistakable, blessings by an enraged and unrepentant White House in the agonized aftermath of Charlottesville. Jews thankfully have no bereaved victims of excess uses of force by American police as have lethally victimized such African Americans as Treyvon Martin, Michael Brown, Freddie Gray, Eric Garner, and Tamir Rice. Jews in America do not fear or face pre-dawn home searches, cruel family disrupting deportations, and the mental anguish of devastating forms of uncertainty that now is the everyday reality for millions of Hispanic citizens and residents. What Charlottesville now becomes is up to the American people, and to some lesser extent to the reactions and responses throughout the world. The Charlottesville saga has already auditioned Trump and Spence as high profile apprentices of white nationalism. Whether an array of Republican tweets of disgust and disapproval gain any political traction remains to be seen, or as in the past they dissolve as bubbles in the air and soon seem best regarded as empty tropes of political correctness. What counsels skepticism about this current cascade of self-righteous pronouncements is the awareness that many of these same individuals in the past quickly renewed their conniving habits behind closed doors, working overtime to deprive the racially vulnerable in America of affordable health insurance, neighborhood security, and residence rights. As is so often the case in the political domain these days disreputable actions speak far more loudly than pious words. If the majority of Americans can watch the torch parade and urban riot of white nationalists shouting racist slogans, dressed for combat, and legally carrying assault weapons, in silence we are done for as a nation of decency and promise. This undoubtedly means that the political future of this country belongs to the likes of Trump/Spence, and it also means that a national stumble into some kind of fascist reality becomes more and more unavoidable. The prospect of a fascist America can no longer be dismissed as nothing more than a shrill and desperate ploy by the moribund left to gain a bit of attention on the national stage before giving up the ghost of revolutionary progressivism once and for all. 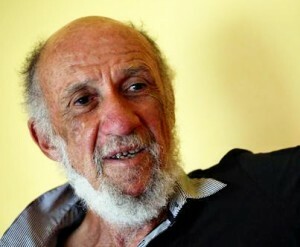 Posted in Psychology - war & peace, Racism, Richard Falk, US Empire, US politics & security, USA | Tags: African Americans, and Muslims, Charlottesville, fascist America, Hispanics, Jews in America, Jews in the U.S.